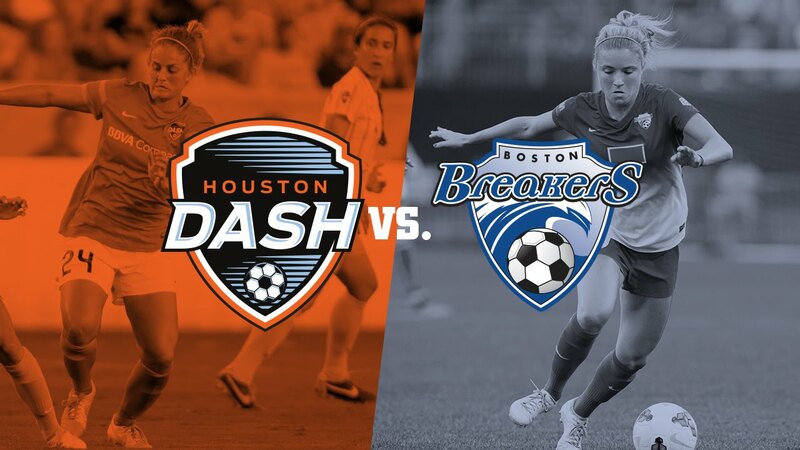 HOUSTON, TEXAS (June 28, 2017) In National Women’s Soccer League action, the Houston Dash hosted the Boston Breakers at BBVA Compass Stadium on Wednesday, June 29, 2017. The Dash were 3-0-0 overall against the Breakers prior to the start of the game. The match marked the third game that Kealia Ohai has missed in her career with the Houston Dash. Ohai was injured in last week’s match against the Orlando Pride. It was later stated that she will miss the remainder of the season with an grade 3 ACL sprain and a medial meniscal tear of the left knee. Many are wondering how this injury to one of the Dash’s key players will affect the outcome of the remainder of the season. In good news on the injury front, Bruna Benites was listed as a probable coming off a grade 2 MCL sprain to her left knee. The Breakers are also feeling their fair share of loss in the college draft standout Rose Lavelle, who is nursing a strained hamstring injury that occurred during her last appearance with the Women’s National Friendly game. In the opening minutes of the match Rachel Daly and Megan Oyster collide while simultaneously attempting to head the ball. As the sprinkles of a summer rain shower descend on BBVA Compass Stadium a penalty is assessed on the the Dash and that hasn’t slowed the momentum of the Breakers offense. Rachel Daly continues her all out and physicality playing style that she is known for. In the 20th minute Daly’s teammate Andressinha passed the ball to Carly Lloyd who kicked the ball wide of the goal. Lloyd followed the first attempt up with a second that sailed over the top goalpost. A yellow card was issued to Boston Breakers’ Morgan Andrews for tripping Rachel Daly. The penalty kick failed to make it’s mark and was saved by the Breakers’ goalkeeper Sammy Jo Prudhomme. After 26 minutes of play both teams have failed to make it on the board, but are showing the NWSL that they are very equally matched with the amount of back and forth going on. Penalties are reigning supreme tonight being pretty equally spread between both teams. In the 28th minute the Dash’s keeper, Jane Campbell, made a spectacular save, on a free kick by the Breakers. Shortly after Camille Leven is tripped up and a penalty kick was assessed and taken by Carly Lloyd. Unfortunately it did not make it’s intended target. The Breakers have an answer for every Dash play that they tried to execute within the first half of play as well as most of the second half. Poliana, the NWSL Player of the Week, contributed in a strong, quiet fashion that she is known for. She drove the ball toward the net and Prudhomme answered with a great save. Her Brazilian national and club teammate, Andressinha had several shots and assists on potential goals that went wide of the net. They teamed up again when a yellow card was assessed against former teammate Allysha Chapman. Andressinha took the kick and Poliana headed it over the net. The second half brings a calmer Breakers team while the Dash kept chipping away at their defense a bit more sluggishly than the first half, they were just not finding those good scoring opportunities. While there were a few opportunities on the Dash side, they were unable to put the ball in the net. Late minute substitutions for a tiring Dash proved to be not enough to get the ball in the back of the net. With three additional minutes of stoppage time, the score ended 0-0. The Dash will take on the Portland Thorns next Saturday at BBVA Compass Stadium. battle for the ball at NRG Stadium. HOUSTON, TEXAS (June 28, 2017) Mexico capitalized on a mistake by Ghana and with a single penality kick, downed Ghana by the score of 1-0 in an international friendly match at Houston's NRG Stadium on Wednesday, June 29, 2017. Ghana came out quickly; penetrating the Mexican defense in the first minute. Forward Majeed Waris got the ball inside the box and attempted to drive it past goalkeeper Moises Munez. Mexico picked up on the shot and deflected it away from the goal. Play continued for the next 20 minutes at a fever pitch until Munoz suffers an inadvertent blow; which sent him to the grass. After he was checked out by medical personal, the game resumed. El Tri found the back of the net in the 32nd minute to get on the scoreboard. The Black Stars was penalized and Mexico midfielder Elias Hernandez drew blood on the penalty kick. When both teams headed to the locker room after 45 minutes, Mexico retained their 1-0 lead over Ghana. In two previous meeting, Mexico has come out on top; winning their last meeting by the score of 2-0 on March 26, 2008 at Craven Cottage in Fulham, London. On March 1, 2006, they met in their first-ever meeting, with Mexico coming out on top 1-0. 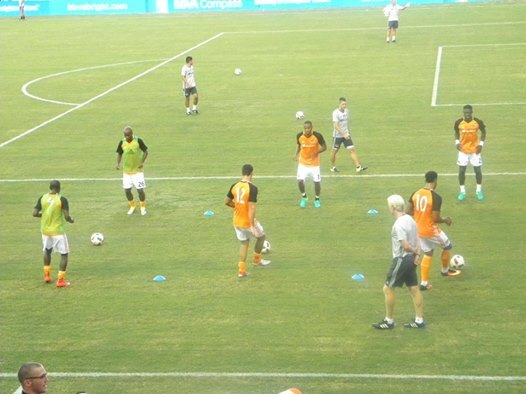 HOUSTON, TEXAS (June 28, 2017) The Houston Dynamo hosted Sporting Kansas City in the Round of 16 of the 2017 Lamar Hunt U.S. Open Cup at BBVA Compass Stadium on Wednesday, June 28, 2017. The game was the first of a double header for Houston soccer fans to enjoy. The second match had the Houston Dash hosting the visiting Boston Breakers. The first 20 minutes of the match was dominated by the Dynamo; who were unable to capitalize on their numerous chances to score. A yellow card was issued to the Houston’s Eric Bird in the 23th minute. The Dynamo’s offense continued to beat against Kansas City and the Kansas City goalkeeper, Tim Melia, who made some heroic saves to keep the score at 0-0 leading into halftime. Sporting Kansas City defense showed their might while fending off three missed goal attempts from Brazilian midfielder Alex, A yellow card was issued in 62 minute to Memo Rodriguez for tripping. In a weird turn of events, the card was issued and play was resumed unbeknownst to Ellis who was talking to coach with his back to the play.. According to the referee, talking to your coach while a play is happening is within the rules, but that one play changed the momentum of the game. Wilmer Cabrera stated that the play, “Changed the momentum of the game.” during his post game press conference. A verbal warning was also issued to Dynamo coach, Wilmer Cabrera, by the on-pitch referee for extending too far out of the designated coaching area while arguing the play. Following this play, the Dynamo substituted in Ruben Luna for Alex, who the crowd cheered loudly for in their appreciation of his service to his team. As an elder member of the squad, Cabrera stated he made the substitution to allow the younger players time and exposure to the opponent. He also stated that the Dynamo knew that Sporting KC was bringing their first team minus their national team callups. The Dynamo understood that placing the younger players on the pitch gave them great exposure but the objective was clear, the Dynamo wanted to win against a team that is very strong and have been playing for a few seasons. After several Dynamo substitutions, the offense could not find the footing they displayed in the first half of the game. The second half was clearly dominated by Sporting Kansas City’s offense. The second and final goal was scored by Fernandez in the 90th minute of play solidified the win by the visiting team. After traditional handshakes post game, the Man of the Match was Memo Rodriguez. After the game Cabrera stated that the Dynamo understood that Sporting Kansas City put it’s first team on the pitch against very young and promising Dynamo players. The loss marks the end of the road for the Dynamo in their quest for the Lamar Hunt Cup. HOUSTON, TEXAS (June 25, 2017) Soccer fans from Houston and the Gulf Coast area will be headed to NRG Stadium on Wednesday, June 28, 2017 to witness No. 17 Mexico take on No. 49 Ghana in an international friendly match. Pre-game ceremonies and activities are scheduled for 7:30 p.m. CDT with kickoff slated for 8:06 p.m. CDT. The match will be the final game for “El Tricolor” prior to their participation in the 2017 CONCACAF Gold Cup, the official national team competition in the region. Mexico has defeated Ghana in two all-time meetings (2006 and 2008). The 2006 game, played at FC Dallas’ Toyota Stadium, saw Guillermo Franco score the game’s only goal with a 75th minute header. Mexican National Team legend Pável Pardo was the hero of the 2008 game, scoring the winning goal, a penalty,in the 85th minute to give Mexico a 2-1 win, in a match played in England. In the first match of their 2017 tour, Mexico defetaed Iceland 1-0 at Sam Boyd Stadium in Las Vegas on February 8. They followed that with 2-1 loss to Croatia at the LA Memorial Coliseum on May 27. After the loss to Croatia, they rebounded with a 3-1 over Ireland at MetLife Stadium in New Jersey. CONCORD, MASSACHUSETTS (June 24, 2017) Dickinson High School's Baylee Klingler connected for a three-run blast in the sixth inning to lead the USA Softball Junior Women’s National Team (JWNT) to an 11-1 win over the Massachusetts/Northeast Region All-Stars in game one of two-game exhibition series in Concord, Massechusetts. The 5-9 senior, who plays both infield and catcher, picked up three RBI in the six inning win that was played on Saturday, June 24, 2017. In the second game, she was 3-for-4 with two RBI in the 9-1 USA win. In game one, the USA scored in the first inning with the All-Stars scoring the equalizer in the bottom of the third inning. The JWNT resonded with three runs in the fourth inning to take the score to 4-1. That scored reamined until the sixth inning when the American's tallied seven insurance runs to close out game one. The second game of the exhibition double-header saw the United States conenct for 12 hit to generate theie 9-1 victory, scoring in four-of-six innings. Klinger picked up another RBI with a single in the first inning. She added another RBI in the third for secure the win for the Americans. USA head coach Laura Berg was quoted after the game. 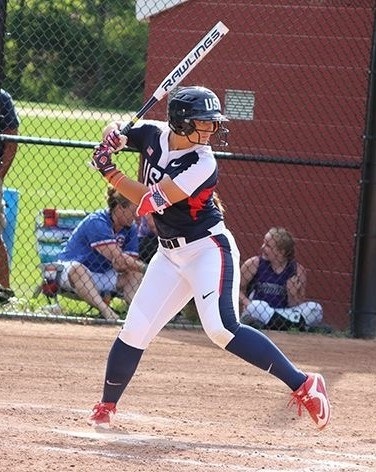 The USA Softball JWNT now set their sights on their first international contest of the season during the World Cup of Softball XII in Oklahoma City, Okla. The JWNT will compete against tough competition, facing the top four-ranked countries in the world as the team prepares for the World Baseball Softball Confederation (WBSC) Junior Women’s World Championship. Marta and Carli Lloyd (10) faced off twice in one week in NWSL action. 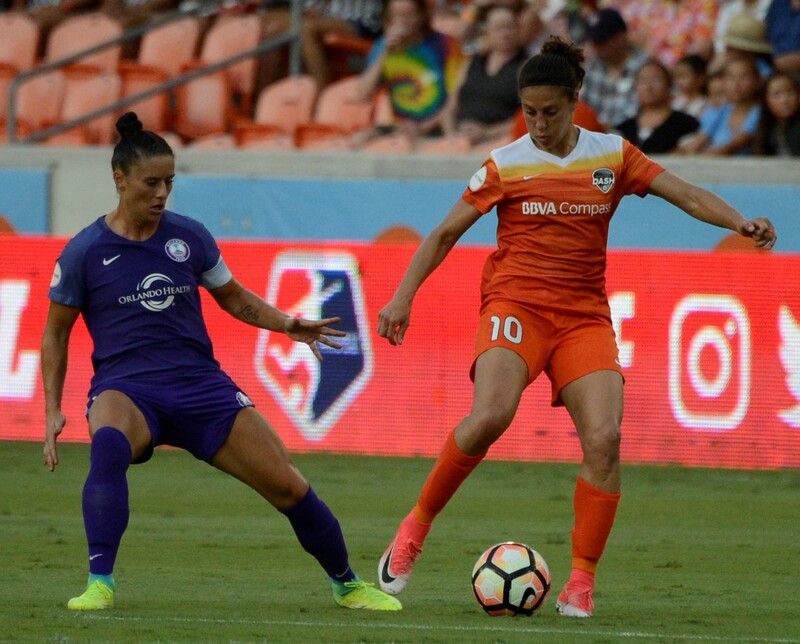 ORLANDO CITY, FLORIDA (June 24, 2017) The Houston Dash broke their six-game losing streak in downing the Orlando Pride by the score of 2-0 at Orlando City Stadium on Saturday, June 24, 2017. The win raises their record to 3-7-0 (9 points) for eighth place in the NWSL standings. 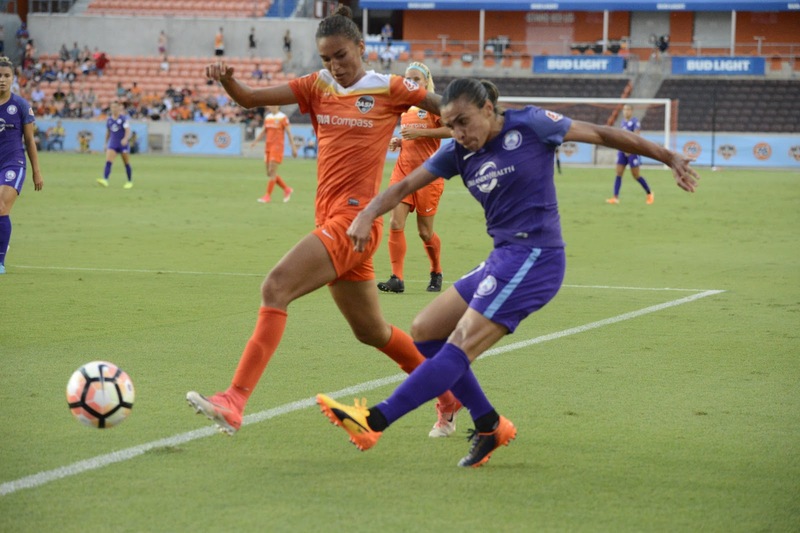 Orlando forward Jasmyne Spencer kicked a cross in the fifth minute, but Dash goalkeeper Jane Campbell handled it to shut down the Pride's attempt. After Orlando won back-to-back corners, Pride defender Ali Krieger's header was a near miss on the far post. Camila took a shot in the 21st minute from the edge of the box, but Campbell was in position to handle the ball and continue to deny Orlando a goal. She tallied a safe in the 23th minute when Hill's shot was on target, but right at Campbell. The Pride continued their assault in the 29th minute with a shot off the bar, but Campbell got a hand on it to keep the game scoreless. Both teams took a hydration break in the 30th minuet with in the 30th minute with temperatures hovering the high 80s at kickoff. Just six minutes later, Andressinha's free kick was cleared by the Pride, The rebound found Janine Beckie outside the box in the 36th minute, but her volley was off-target, The 5-8 forward, who played her ccollege ball at Texas Tech, also took a shot from outside the box, which was too high. The Dash closed out the first half with Carli Lloyd shooting from outside the right side of the box, in stoppage time. with a right-footed strike for her first goal of the NWSL season. The Dash added an insurance goal in the 62nd minute when Poliana got the ball on the counter-attack, dribbled down field and fed the ball to an alert Rachel Daly. Daly quickly put the ball in the back of the goal to put Houston up 2-0. With the assist, Poliana became the Das leader co-lead in assists. HOUSTON, TEXAS (June 26, 2017) The South Belt Area "All Stars" Swimming Team (SBAS) is preparing for the current summer competitive campaign, and are looking to return to the Texas Amateur Athletic Federation's (TAAF) Games of Texas in late July. Sporting a fine group of high school swimmers, who are coming off a very successful season with their respective high schools, along with their very successful masters (18-years-old and over) swimmers, South Belt will be kicking off the summer season on July 15 with the TAAF Region 14 Championships in Katy, Last summer, SBAS finished third in the team standings at the regional championships, along with a top-20 finish at the Games of Texas. In the high school division, South Belt will be aided in the quest to qualify for the summer state championships with a combination of swimmers from three Pasadena-area high schools. Alexa Perez, Alfredo Vasquez, and Thomas Gonzalez, all of whom were UIL regional qualifiers for Pasadena High School this past February, will be hitting the water for the summer competitions, along with swimmers from Sam Rayburn and Pasadena Memorial High Schools. Rayburn's Michael Vargas, along with Memorial's Marco Castillo, Abigail Salazar, Catherine Acosta, and Reanna Bowers, will compete to earn the coveted ticket to the state championships. In the master's division, long-time SBAS swimmer Landon Howard, along with former University of Houston swimmer Kristine Kelly will lead the way in the 18-and-over division. Also returning to the pool will be former Rayburn standout swimmer and diver Derrick Mauk. Kelly, who has been on hiatus from competitive swimming for the past three years while attending law school, will be looking to return the her former form. The former Pasadena High School swimmer holds numerous local, state, and national records in swimming. In addition, Kelly's daughter Kirstin will be looking to return to the state meet in 2017. He first appearance competing in the state championships was in 2015 where she led her eight-and under 100-yard freestyle relay to a 15th place finish at Texas A&M University Natatorium. Newcomers Kimberly Dutton, who is the current UIL District 22-6A junior varsity champion in the 50-yard breaststroke, Abigail Lezcano, Veronica Vatau, and John Long will be looking to make their mark in the annals of swimmers beginning in July 2017. 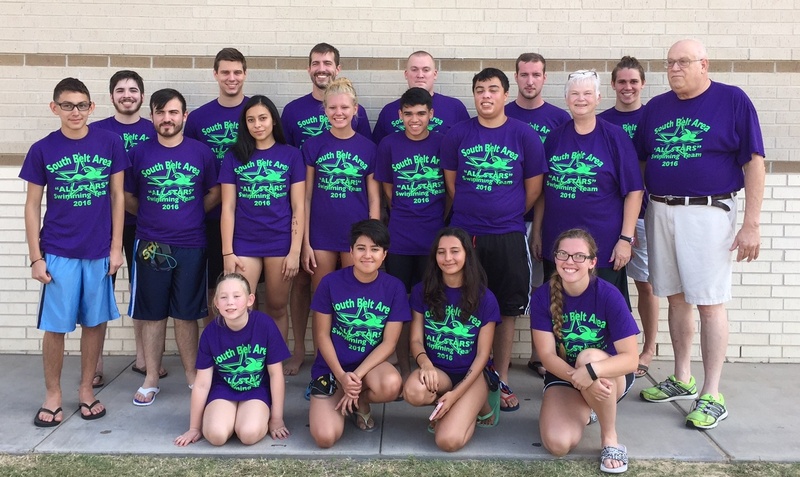 The Games of Texas summer state swimming championship will be held July 27-30 at Edinburg Water Park in Edinburg, Texas. Other sports in the Games of Texas will take place in McAllen, Texas. HOUSTON, TEXAS (June 23, 2017) The Houston Dynamo and FC Dallas battled to a one-all draw in front of 22, 039 fans on Friday, June 23, 2017. The two teams will meet again on August 23 at Toyota Stadium in Dallas to conclude the three-game series for possession of El Capitán, a replica 18th century mountain howitzer cannon. 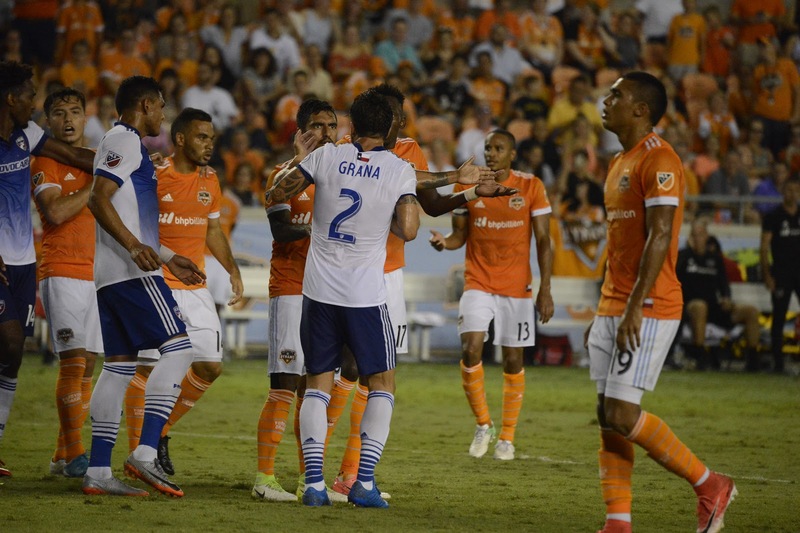 In their previous game on May 28, the Dynamo and Dallas battled to a scoreless draw in Dallas. Erick Torres drew blood first in the 19th minute with a nice shot from the right side, as he drove on the goal. The score was his 11th goal in 15 appearances and keeps him in second place in the MLS scoring behind Chicago forward Nemanja Nikolic (13). Dalas evened the score in the 59th minute when Maxi Urruti scored from inside the box at the far post. The goal was inevitable as Houston, while trying to contain their Texas rival, were playing too deep against a determine Dallas ofense. In the 11-year hisory of the Texas Derby, beginning in 2006, the Dynamo holds a 6-5 advantage. Houston will return to the pitch inside BBVA Compass Stadium on Wednesday, June 28, 2017 as they take on Sporting KC in the Round of 16 of the Lamar Hunt U.S.Open Cup. Kickoff is set for 6:30 p.m. CDT. You can view a slideshow from the game, by Darla S Tamulitis, La Vita Loca Photography, by clicking here. HOUSTON, TEXAS (June 17, 2017) The Orlando Pride wasted no time on the pitch, with the return of Marta Vieira de Silva and Camila Martins Pereira from international duty, as the downed the Houston Dash by the score of 4-0 at BBVA Compass Stadium in Houston on Saturday, June 17, 2017. The game also saw the return of Houston midfielder Carli Lloyd, who has been playing for Manchester City since the beginning of the season. Orando jumped out to a two-goal lead after 22 minutes. The first goal came in the 16th minute when Camila nailed a shot from beyond the box. The second goal came six minutes later when Marta connected from the left side. The goal was the fourth of the season for Marta. After the rest of the first half, in which neither team showed much on offense, both teams headed to the locker room at halftime with the Pride leading 2-0. The Pride did not allow their momentum to lag in the second half. Marta added an insurance score in the 57th minute from inside the box to the far post. Jasmyne Spence provided the assist, her second of the season. They continue to dominate the Dash, adding the fourth goal of the match on a header by Alanna Kennedy in the 68th minute; off a corner kick by Marta. Houston finally got on the scoreboard late in the game on a header by Poliana, in the 89th minute) and an inside-the-box shot by Nichelle Prince in added time. CONROE, TEXAS (June 10, 2017) After playing their first game of the 2017 on the road, the Scrap Yard Dawgs kicked off opening day at home by dropping a 3-1 decision to the Texas Charge at Scrap Yard Sports Complex in Conroe, Texas on Saturday, June 10, 2017. With the loss, the Dawgs post a 1-1 record for the season. 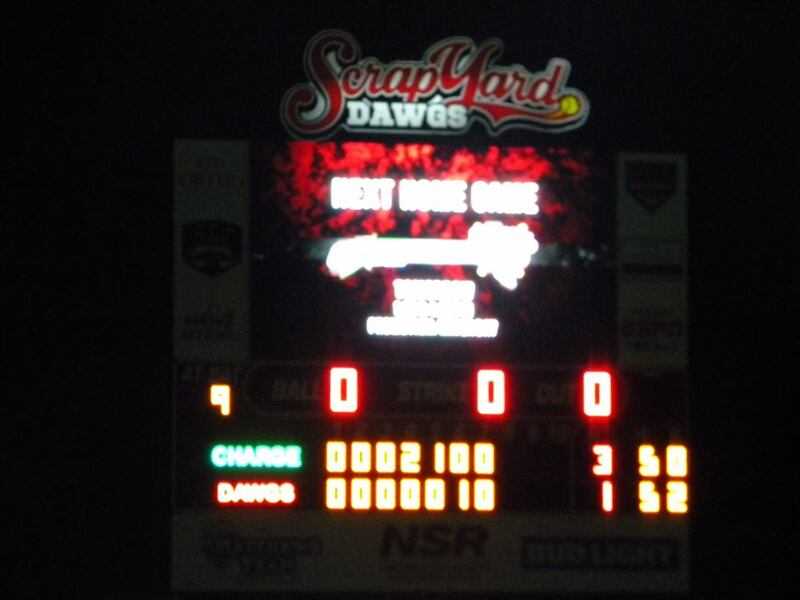 The Charge also have the same record after both teams met in San Marcos on June 10, where the Dawgs won by the score of 9-4.
a 2-0 lead in the fourth inning and added an insurance run on the fifth. 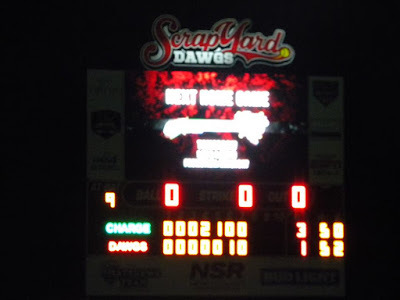 The Dawgs final got on the scoreboard in the sixth inning when Taylor Edwards singled up the middle, sending Hannah Flippen home from second base. The University of Utah product reached base by singling down the third base line, on a 3-2 pitch. She advanced to second on a sacrifice bunt by Nerissa Myner. Flippen went 1-of-3 with one hit and one run while Kayla Winkfield was 2-of-3. Charge starter Ally Carda received the win, throwing 5.1 innings while giving up a single earned run on five hits. Sara Plourde received the loss after coming into the game after two outs in the first inning. She allowed two runs on one hit and walked three in 2.1 innings of work. The Dawgs complete the current home stand against the Charge with a double header on Sunday, June 11. BRIDGEWATER TOWNSHIP, NEW JERSEY (June 4, 2017) The Sugar Land Skeeters rallied with three runs in the fifth inning to take a 6-2 win over Somerset Patriots at TD Bank Ballpark in Bridgewater Township, New Jersey on Sunday, June 4, 2017. Designated hitter Kevin Ahrens was 2-of-5 with two runs and one RBI. Starter Jake Hale received the win, throwing 6.1 innings while allowing two earned runs and striking out four. 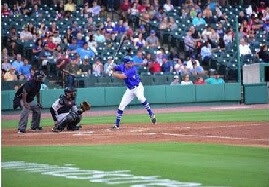 The Skeeters raise their season record to 22-22 while Somerset fell to 27-17. Sugar Land will begin a three-game series against Lancaster on Monday, June 5. They will return to Constellation Field on Friday, June 9 with a six-game series against the Southern Maryland Blue Crabs. HOUSTON, TEXAS (June 3, 2017) The No. 1 Houston Cougars kept their baseball season alive for at least one more day, as they dropped the No. 2 Baylor Bears by the score of 17-3 in the third game of the NCAA Houston Regional. The loss eliminated Baylor, who fell to Texas A&M on Friday by the score of 8-5. 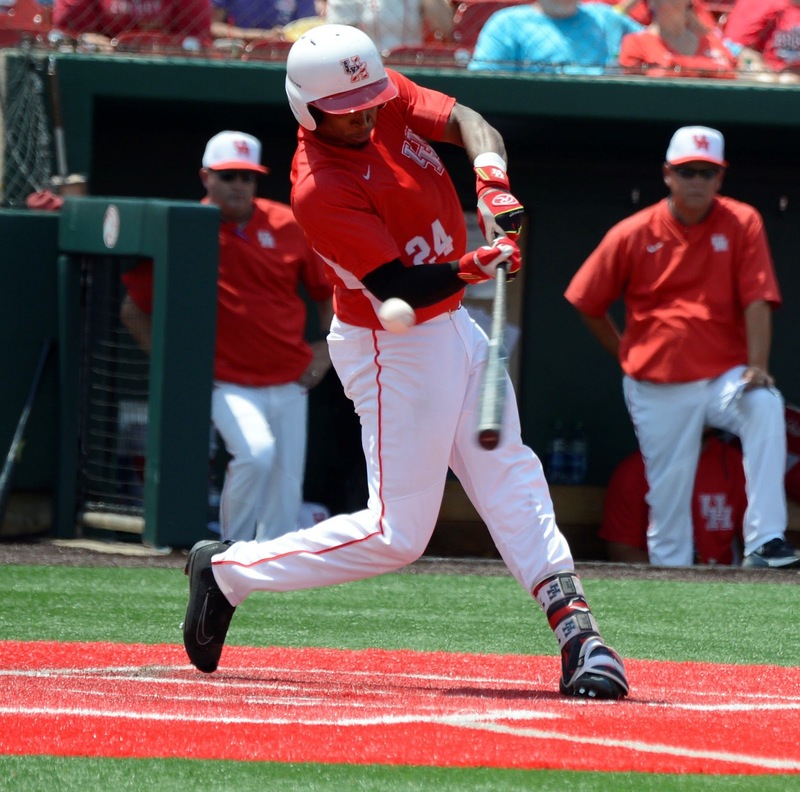 Houston also dropped their first game on the regional with a 6-3 loss to the Iowa Hawkeyes. Houston dominated Baylor, scoring eight runs in the first six innings, before the Bears could get on the scoreboard. They responded in the bottom of the sixth with three runs, cutting the Cougar lead to 8-3. At that point, Houston unleased their bats, tallying eight runs on seven hits, with 14 batters coming to the plate. The Red and White added an insurance run in the eighth innings to close out the scoring. Houston sent three batters to the plate in the top of the ninth inning, and were quickly sent packing by Baylor. With the Bears coming to the plate in the bottom of the ninth inning; hoping to salvage anything from the game, the heavens opened up and the rain came down; forcing a one-hour, 27-minute game delay. After the resumption of the game, Houston dispatched Baylor’s final three batters to advance to another elimination game on Sunday, June 3 against the loser of No. 3 Texas A&M and No. 4 Iowa. You can view a slideshow from the game, by Darla Tamulitis, La Vita Loca Photography, by clicking here. Cougar center fielder Corey Julks continued his phenomenal post-season performance against the Bears. He was 2-of-5 with two runs, 2 RBI; along with a double and a home run. Against Iowa on Friday evening, he was 2-of-4 and scored a run. With his two hits against Baylor, the 6-1 junior from Friendswood, Texas, has reached based in 23 consecutive games. Starter John King, tossing 5.2 inning while giving up three runs on eight hits received the win, his eighth of the season. The left-hander faced 24 batters while striking out five. He threw 90 pitches, 61 of them strikes. Freshman Fred Villarreal, throwing 3.1 inning in relief picked up his second save of the season. Baylor starter Alex Phillips receive the loss and finished his season with a 4-3 record.